A reminder that it only takes one call or email to make a difference in the safety of your community. If you See Something, Say Something this weekend. 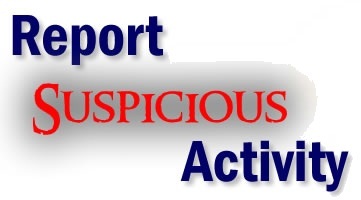 If the information you submitted requires immediate assistance you must call 911. The CIAC is not an emergency response agency. Registration is now open for the 2016 Colorado Integrated Emergency Management Conference. Conference Fee: $225 before February 1, 2016 and $275 after February 1, 2016. Registration closes on February 22, 2016. No walk-in registrations will be accepted at the conference. Conference attendees, speakers, vendors and volunteers registering for the conference please click register online. Reserve a room through the hotel's reservation page. Let hotel reservations staff know you are with the CEMA 2016 Emergency Management Conference. The CEMA hotel group code is 1421900. The hashtag for the 2016 conference will be #COEM2016. 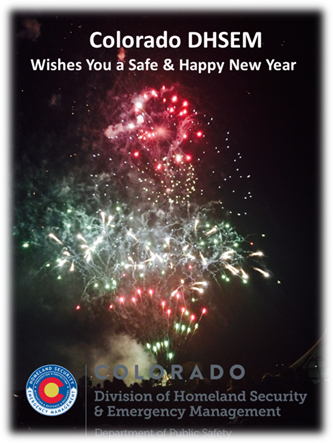 Updates will be posted on Twitter on @COEmergency and @cemacolorado. Updates will be posted on the COEmergency Facebook page. Lastly, website updates can be found at www.COEmergency.com and www.CEMAColorado.com. A unique piece of the Colorado Emergency Management Conference is the silent auction. The proceeds provide scholarships for emergency managers and others in public safety whose budgets may not allow them to attend the conference. The silent auction relies on contributions from emergency managers, first response agencies and conference vendors. A wide variety of items is offered in the auction: art work, ski tickets, jewelry, tickets to sporting events, food baskets, books, preparedness kits – the list goes on. The fund-raising silent auction will be held during the conference, March 8 – 10, 2016. Donate any item, group of unrelated items, or a ‘theme basket’ that you think other conference attendees would like to own. Vendors and business owners: Your donation may display organization labels, business cards, and other marketing materials. Browse the silent auction tables at the conference. There will be lots of fun items that are sure to catch your eye. A direct result of the generous donations over the past few years is the number of people receiving scholarships: 21 in 2012, 17 in 2013, and 37 in 2014. During the 2015 conference, the silent auction raised $3,070 which will fund an additional 15 scholarships for the 2016 conference. Please help us continue this success by donating to the silent auction today. To donate, or if you have questions, please contact Scott Morrill at 970-275-1370 or smorrill@gunnisoncounty.org. View the Silent Auction Flyer. On December 10, 2015 the U. S. Department of Homeland Security’s Office of Inspector General (OIG) issued the OIG-16-13 Report: Oversight of the Colorado Emergency Management Performance Grant Program Needs Improvement. This program is managed by the Colorado Division of Homeland Security and Emergency Management (DHSEM). The OIG made five recommendations. 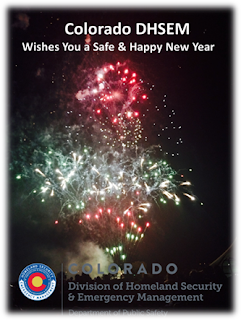 The Colorado DHSEM is committed to being a good steward of public funds and our desire to improve our systems. DHSEM believes OIG should acknowledge that during their audit, DHSEM was still understaffed, dealing with the massive volume of recovery work from the catastrophic flood disaster of 2013, (4145-DR-CO), was dealing with new flooding, was activated for storms and associated flooding, and received a new Stafford Act Disaster Declaration for storms, tornadoes, and flooding (4229-DR-CO), thus the delays were capacity challenges and work volume; not intentional acts to impair the OIG’s work. OIG Recommendation #1: We recommend that the Acting Regional Administrator – FEMA Region VIII, remedy the $457, 895 in unsupported costs. DHSEM Response to Recommendation #1: DHSEM believes adequate documentation exists for the questioned transactions and has met with the FEMA Region VIII financial staff. Further, the OIG findings and recommendations are not consistent with findings and recommendations during FEMA Region VIII annual monitoring visits nor do they reflect the Division’s actions taken to remedy known accounting errors in the State of Colorado’s new financial services system. DHSEM provided documentation identifying the questioned funds as coding errors with 75% related to payroll that were created as the State transitioned to a new financial system. The payroll coding errors could not be addressed due to the inability to modify payroll allocations in the new system until June 2015. DHSEM completed these processes as part of the State 2015 Fiscal Year closeout. DHSEM mitigated these errors by maintaining records of each of these transactions and supporting documentation of transactions needing correction in the new financial system and its associated General Ledger. The remaining funds were related to fleet or IT equipment. DHSEM maintains all Department and Division vehicle order and purchase authorization documentation from our transactions with State Central Fleet; however, the actual lease is between the dealership and State Central Fleet and is maintained at the State Central Fleet Office. DHSEM reiterates that it maintains adequate supporting documentation and its commitment to launching a document control system to improve ease of access to supporting documentation. The IT equipment is also purchased through the IT division and documentation is maintained with that program. OIG Recommendation #2: We recommend that the Acting Regional Administrator - FEMA Region VIII, ensure the DHSEM implements improved financial controls so that all future grant expenditures are accounted for accurately and timely, and that future financial reports submitted to FEMA are complete and accurate. DHSEM Response to Recommendation #2: DHSEM agrees to work with FEMA Region VIII to implement further financial control improvements. As documented, DHSEM already instituted some improvements and the State provided additional capability in the financial system for journal entries, ensuring future entries can be made during the performance and grant reporting periods. DHSEM is committed to submitting future FFRs timely, complete and accurate. That being said, DHSEM agrees that lack of sufficient staff and consistent monitoring tools had an adverse impact on subrecipient monitoring. Finally, the Division made progress on addressing staffing shortages. In December 2013, the number of staff in the Finance Section was two permanent employees and three temporary contractors. Today the Finance Section has ten permanent employees. OIG Recommendation #3: We recommend that the Acting Regional Administrator – FEMA Region VIII, require DHSEM to improve its process and controls for retaining source documents of all EMPG expenditures. DHSEM Response to Recommendation #3: DHSEM maintains that it complies with the source documentation criteria cited in 44 CFR § 13.20b(6), but agrees that improvements should be made. DHSEM looks forward to FEMA Region VIII’s recommendations for improving process and controls for retaining source documents of all EMPG expenditures. In addition, DHSEM currently is reviewing options for a new document control system. DHSEM does not agree to maintain source documents of all EMPG expenditures that are the property and responsibility of the subrecipient; however, DHSEM does agree to require and review subrecipient retention of these documents. OIG Recommendation #4: We recommend that the Acting Regional Administrator – FEMA Region VIII, ensure that the DHSEM conducts monitoring visits on subgrantees at least once every two years, as required. DHSEM Response to Recommendation #4: DHSEM believes the report should provide clarification that DHSEM performed desktop monitoring of 100% of the subrecipients each quarter, and monitored 45.2 percent (33 of 73) of its subrecipient’s on site from 2012 through June 30, 2015. As previously documented, the Division’s own requirement in its Grant Guidance to subrecipients is on-site monitoring once every 36 months (2012) and 24 months (2013). DHSEM does not believe this recommendation is consistent with the provisions of sub-recipient monitoring specified in OMB Circular A-133 and Title 2 of the Code of Federal Regulations, § 200.331(e). DHSEM will maintain a sub-recipient monitoring program that is compliant with aforementioned circular and CFR and work with FEMA Region VIII to implement recommendations for improvement, and follow-up and resolution of said recommendations. To do further on-site monitoring would violate the requirements of these regulations. DHSEM acknowledges the remaining areas of improvement needed in monitoring and oversight. DHSEM recently implemented (effective July 1, 2015) a new sub-recipient monitoring program for all of its federal pass-through programs, EMPG included. As required by OMB Circular A-133 and Title 2 of the Code of Federal Regulations, § 200.331(e), the new program’s on-site sub-recipient monitoring is risk-based, and not based upon a certain number of visits per entity per program as the main driving factor. This new program supersedes the Division’s requirement for on-site monitoring every 24 months in its EMPG Grant Guidance. OIG Recommendation #5: We recommend that the Acting Regional Administrator – FEMA Region VIII, ensure that the DHSEM implements a policy to follow up on and document the resolution of issues or deficiencies found during prior subgrantee monitoring visits. DHSEM Response to Recommendation #5: DHSEM agrees with this recommendation and will follow-up, resolve and document the resolution of any recommendations from subrecipient monitoring, including recommendations / comments cited in the draft OIG report and any documented in previous EMPG on-site monitoring of subrecipients starting with the 2012 EMPG grant. DHSEM disagrees with the OIG statement that “There was no formal review or approval of the reconciliation by DHSEM personnel to ensure it was accurate or correct.” DHSEM conducted an internal review of the data by other Finance Staff, DHSEM leadership reviewed with Finance Staff and concurred, and finally the adjusting journal entries required approval of the Controller’s Office of the Colorado Department of Public Safety. DHSEM received such approval on all final adjusting journal entries. The Division will continue to work with the OIG and the FEMA Region VIII Acting Regional Administrator to demonstrate eligibility of the expenses involving the Emergency Preparedness Grant Program. This is a reminder that your 1st Quarter 2016 Report (October-December 2015) for FEMA DR-4145, and for PDM 2015, is due by January 15, 2016 in the EMGrants system. Early reporting is always appreciated. For your programmatic reports please remember to detail your particular accomplishments and timelines. Specific information is required in your Q1 Report, related to your Scope of Work (SoW) and identified tasks completed. Reports that do not provide adequate project or planning activity status information will be flagged and returned to you requesting additional input prior to quarterly approval and advancement. Applicant User Guides with information on submitting a Request for Reimbursement (RFR) at any time through EMGrants is available on the EMGrants home page under Resources. DHSEM Mitigation and Recovery Report for December 15, 2015 is available to view or download. The report will be published twice a month beginning on January 5, 2016. View the DHSEM Update for December 15, 2015.